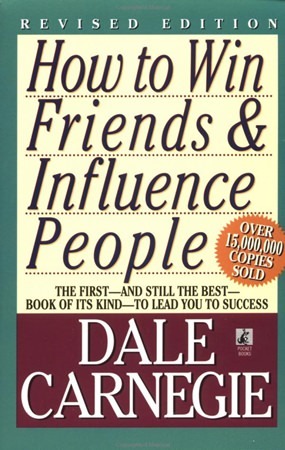 How to Win Friends and Influence People, written by Dale Carnegie, (ISBN 978-1-4391-9919-0, Pocket Books, 1936) has been on the shelves for over 70 years. It has had the copyright renewed in 1964 and again in 1981, and this paperback edition was printed in 2010. There are not too many books still on the shelves with that kind of longevity. I will admit that I had never read How to Win Friends and Influence People, so I was interested to see if Carnegie’s book was still relevant in today’s society, which is so different from the pre-WWII era in which Carnegie wrote the blockbuster. This is partly answered by the preface, written by Dale Carnegie’s wife, where she states that Dale Carnegie himself was a tireless reviser of his own work and was constantly aware of the changes in the society he was lecturing to. Later revisions after the death of Carnegie in 1955 just followed the same principle. The back cover promises that the book can show you six ways to make people like you, 12 ways to win people to your way of thinking and nine ways to change people without arousing resentment, and “much, much more!” That is certainly a big promise. The book is written in a conversational style, which does take the sharpness off the learning process and ‘humanize’ the lessons. Early in the book, Carnegie puts forward the principle of getting results through approval, rather than criticism, and cites many examples to show just how the principle worked for others in a real-life situation. It is important, says Carnegie, to differentiate between appreciation and flattery. “One is sincere, the other insincere. One comes from the heart out, the other from the teeth out. One is unselfish, the other selfish.” Simple and little homespun perhaps, but of immense value when correctly applied. This alone could win you friends. 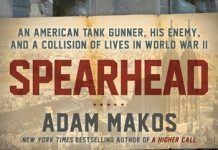 There are many chapters dealing with arguments, and initially it seemed as though his advice was to let the adversary win, but as I read further I could see how he was getting around the problem, just as he was getting around my initial doubts. Initially, I was all prepared to write this book off as being the usual self-help schmaltz but amazed myself in enjoying the reading, and seeing where I too could improve my life (by improving my relationships with others). Some of the people mentioned as examples do date the book, but do not take away from the message. For B. 285 on the Bookazine shelves this is still one of the best (and cheapest) of its genre. It may be 70 years old, but obviously, the advice is timeless. Get it!